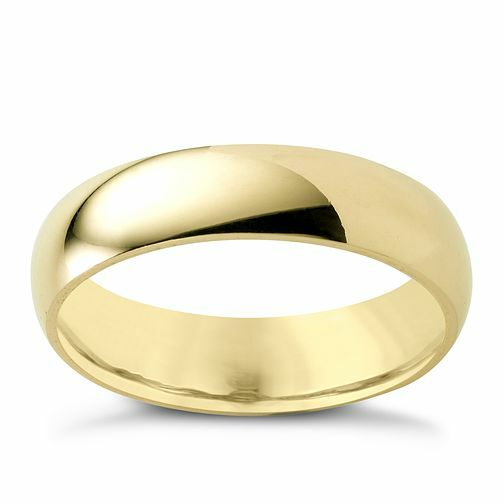 A gorgeous, smooth super heavy weight court wedding band in 9ct yellow gold and measuring 5mm in width. A stylish accessory designed to mark the start of your new chapter. 9ct yellow gold 5mm super heavyweight court ring is rated 5.0 out of 5 by 1.